Sightseeing with the family, exploring the city nightlife or surfing at a favorite beach shouldn't mean a new iPhone gets left behind. LifeProof has a case for almost any situation, look and mood with an all-new lineup for iPhone Xs, iPhone Xs Max and iPhone XR. Keep the hottest devices from Apple protected from day one with NËXT and SLɅM, available now, and lock in 360-degree, water, drop, dirt and snow protection with the award-winning FRĒ, coming soon. 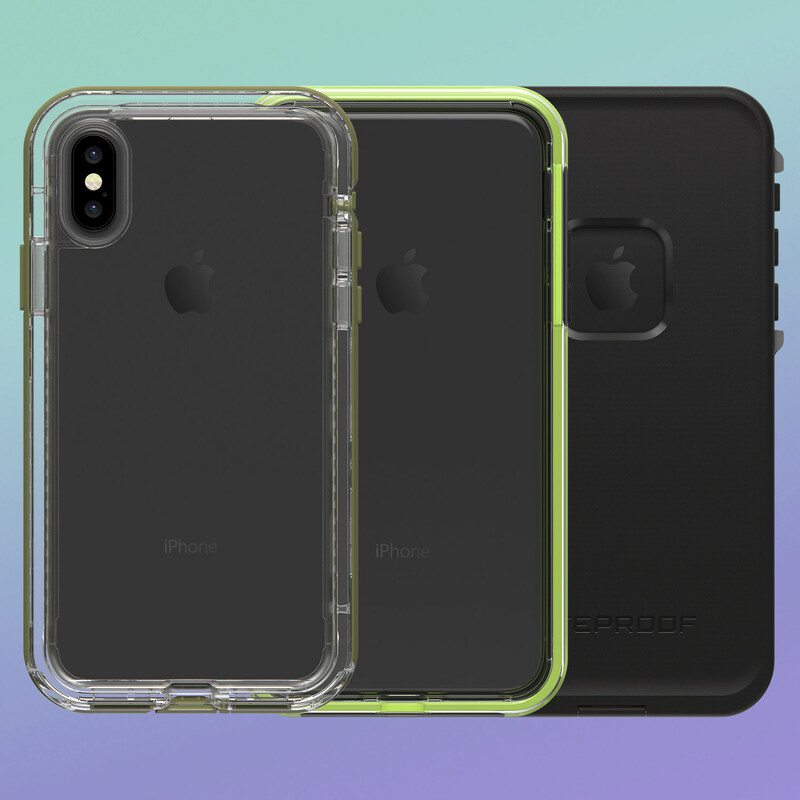 For the first time, LifeProof SLɅM will be available with an array of stylish clear graphics that complement any style while accenting the sleek lines of iPhone Xs, iPhone Xs Max and iPhone XR. "With advanced features like the Super Retina display, dual-camera system and up to 512GB of storage, Apple continues to enhance the way we use smartphone technology in our everyday lives," LifeProof CEO Jim Parke said. "LifeProof is delivering a bigger and better case collection than ever before to protect these iconic devices. Our full lineup of cases will keep iPhone Xs, iPhone Xs Max and iPhone XR safe no matter what adventure you prefer , from the beach to the mountains, the schoolyard to the concrete jungle." SLɅM is both stylish and drop proof. Screenless technology allows for direct contact with the touchscreen while the raised, beveled edge keeps the display protected from drops up to 6.6 feet (2 meters). The two-piece design features a clear back panel and rubberized color around the edges and front of the case. Plus, four attractive graphics options add a layer of style to the slimmest case in the LifeProof lineup. NËXT is ready for adventure with protection against drops, dirt and snow. An open-screen design allows direct access to the display, while drop protection and port covers keep iPhone Xs, iPhone Xs Max and iPhone XR safe in the backyard or the backcountry. The two-piece clear shell wraps around the phone and protects the screen with a raised, beveled edge and super slim form. NËXT cases are drop tested to 6.6 feet (2 meters) and carry an IP-5X rating for blocking dirt and dust. FRĒ upholds the LifeProof legacy of four-proof protection that protects from water, drops, dirt and snow. The two-piece design has a built-in screen protector to guard against scratches to the brilliant display and seals the device from water, down to 6.6 feet (2 meters) deep, for up to an hour. Port covers keep dust and dirt out of the charging port and speakers. SLɅM, $49.99, and NËXT, $79.99, are available now for iPhone Xs and iPhone Xs Max and are coming soon for iPhone XR. FRĒ, $89.99, is coming soon for iPhone Xs, iPhone Xs Max and iPhone XR. To learn more or sign up for product notifications, visit lifeproof.com.